Recently, you have probably heard a lot of discussion about the complications that periodontal disease (gum disease) can have on your general health, particularly your heart; however, you are a bit confused as to how the two can be intertwined. How can your oral health possibly impact your heart? New research has found a direct correlation between the damaging affects oral bacteria can have on your cardiovascular system. Now, it is more important than ever before to visit your dentist in the Lehigh Valley if you suspect that you have the infection. Gum disease is an infection that develops in the gum tissue due to bacteria that is found in plaque and tartar accumulations. While it is easily preventable, the Centers for Disease Control and Prevention estimates that over half of adults in the United States have a form of the infection. When caught in the early stages, it is easily treatable and reversible without causing any long-term damage. Unfortunately, the early symptoms of the disease are often ignored, allowing it to progress in severity. Over time, it can lead to the eventual loss of your teeth; however, this is not the only complication to occur. 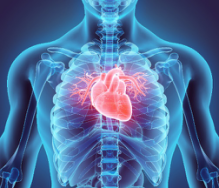 Researchers have found that those with periodontal disease are twice as likely to develop heart disease. In addition, the risk appears to be greater for those who also suffer from high cholesterol. The bacteria responsible for the gum infection can enter the bloodstream, circulating throughout the body. The body naturally responds to the infection, causing inflammation and swelling. This can lead to the formation of arterial plaque. Over time, the fatty deposits will narrow the arteries. Eventually, they can break loose of clog the arteries completely, increasing your risk for heart attack and stroke. With more than 85 million Americans suffering from a form of gum disease and more than 200 million adult Americans having gum disease, it is important to be proactive about your oral health. Your first line of defense against periodontal disease starts with your home oral hygiene habits. In addition to brushing twice a day, it is important to floss in between each tooth every night before going to bed. This will remove harmful bacteria and plaque that have been left behind by your toothbrush. In addition, visit your dentist twice a year for a cleaning and checkup. Even with the best prevention, the infection can still occur. If you notice any symptoms of periodontal disease, such as bleeding, red, or swollen gums, schedule an appointment with your dentist right away. With early intervention, you can restore your gum health and protect your heart and smile from the damaging complications of the infection. Dr. S. John Salivonchik is a highly regarded dentist in the community due to his advanced training and extensive experience in oral health. In addition to general dentistry, he offers many areas of specialized care, including periodontal therapy. If you suspect that you have the infection, contact our office today for a customized treatment plan.